About a month ago, I got an offer that was almost impossible to refuse: an already-planned trip around the mid-South Island for 4 days with a seriously famous photography friend. There was no way I was turning down such an offer, especially when the camper was already paid for. I wasn’t orignally sure what sized camper Laurie had booked, but our wee Jucy camper was cute! It had two downsides – no power points worked unless plugged into mains, and no insulation in the exterior walls. On the upside, the duvets were nice and thick and the blinds did a pretty good job of keeping out the worst of the cold that could have come in the windows. The days were long, and mostly cold. I took so many layers of warm clothing Mark thought I was being ridiculous. I used them all and wanted more. We did a LOT of driving – over 1200km – in an automatic van with no grunt. I flew Air New Zealand, with my flight paid by Airpoints Dollars. Our rental vehicle was a Jucy Condo, which had no real storage – our bags were moved from the floor in the back during the day, to the front seats overnight. While there was a cassette toilet, there was nowhere private to use it! 2. Fox Glacier Top 10. Lovely site, in warmer weather a nice short walk from town. 5 minutes drive from Lake Matheson, which was our evening / morning target. Note that the hot pool requires booking, and it appears that none of the tent / non-gravel sites have power. 3. Mt Cook Lodge. After tromping through hoar frost nearby in the afternoon, we weren’t feeling the love for White Horse Hill and its lack of electricity – we needed warmth and power to charge batteries. So we opted for the lodge. Really glad the YHA was full – we got a private room for $10pp less, and the lodge is attached to a restaurant / bar. Highly recommend and would definitely stay again. 4. Tekapo Holiday Park. The only option in a town that forbids freedom camping. Unsurprisingly busy. Nice and close to the hot pools. The facilities could do with updating, and we opted not to spend $2 each for 10 minutes hot shower. 1. Lake Pearson. Great views from the picnic area at the west end of the lake. Definitely a sunrise spot. 2. Otira Lookout. Shame the kea were hiding – the only time I’ve been there and NOT seen them! 3. Hokitika Gorge. In summer, visit in the middle of the day to get colour – in winter, the morning. We missed the best light, but its still pretty. Would be impressive in flood. 4. Lake Matheson. 5 minutes out of Fox Glacier township. 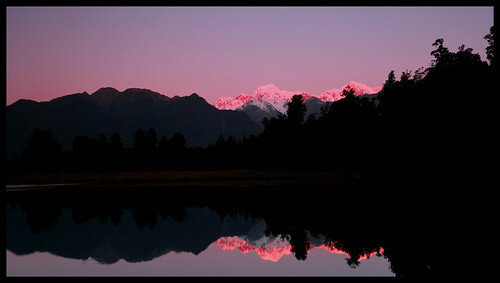 In good weather can be glass-smooth at dawn and dusk, reflecting views of the back side of Mt Cook. 5. Depot Creek Falls. 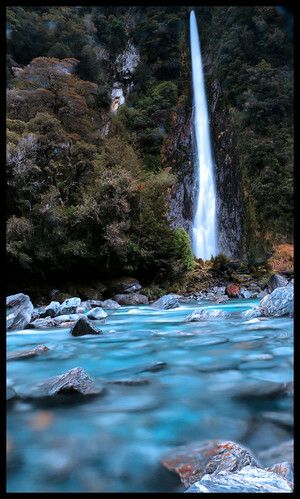 Hidden along the Haast Pass road. Very cool. 6. Gates of Haast. Plan to stop – the gates are impressive, those rocks! Don’t forget the other falls along the road either. 7. Kelland Pond / Wairepo Arm. In the hoar frost these two were INCREDIBLE. In autumn they are also pretty stunning as they drop their leaves. 8. Peters Lookout. 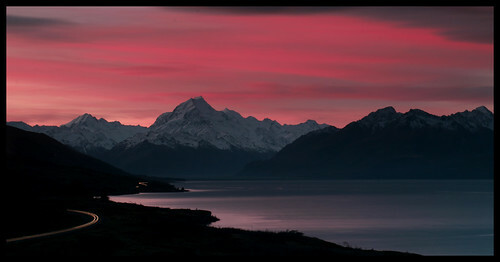 Sunset here, looking towards Mt Cook, was pretty neat, although the wind was bitterly cold. 9. Old Ohau River Bridge. Historic place. The river now starts immediately below the bridge due to the building of the hydro power stations. Its hidden down a dirt road below the dam. 10. Church of the Good Shepherd. Most over-photographed building in the country, always crawling with people, but very pretty both day and night. I learnt some lessons from this trip. * Take more warm socks on winter photography trips. 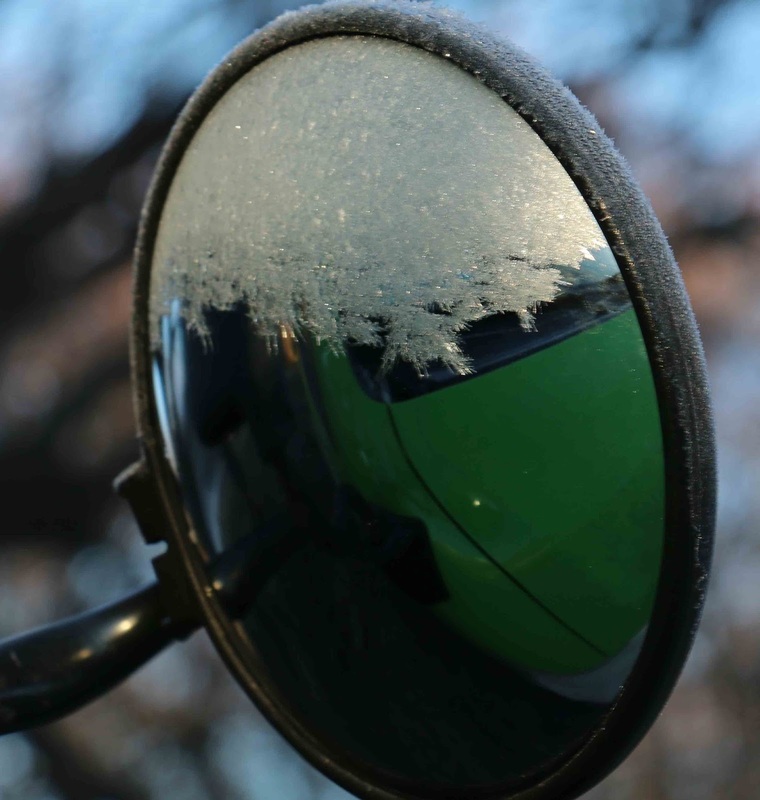 * Campervans are quite cold – especially smaller ones. 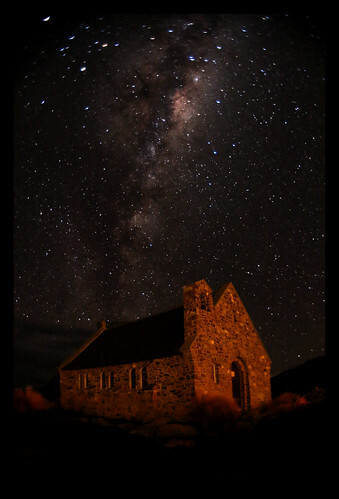 * Tekapo is kinda ugly (but I have to go back so I can go to Mt John). 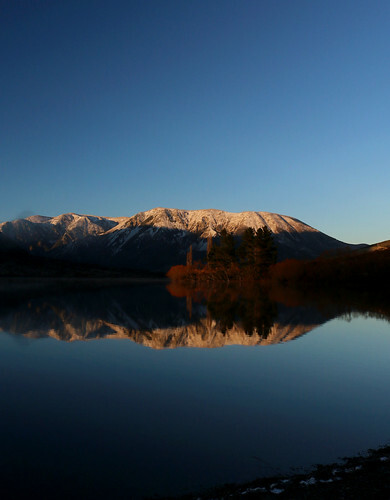 * The Tekapo hot pools are MUCH warmer in the morning than the afternoon. * The store / café at Arthurs Pass doesn’t have a fireplace (I thought it did for some reason), so not the best place to try and warm up on a cold morning. * Timing is everything – a day either side through the Mackenzie basin and we would have missed the single best sight of the trip.